Jaipur is full of several marvelous architectural wonders which will mesmerize you at first glimpse. From ancient forts and monuments to the world class modern buildings, you will find this place is a perfect destination for spending quality times, be it alone or with loved ones. 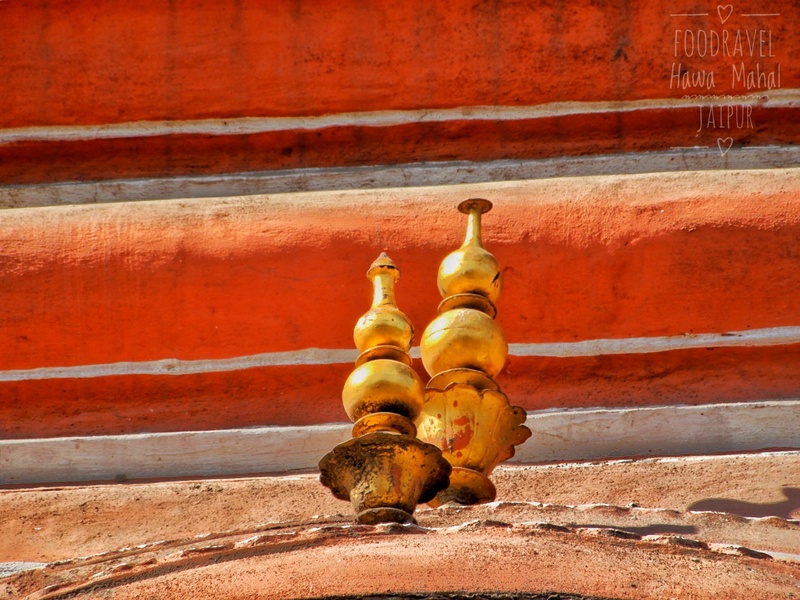 I planned a four days trip to Jaipur and the first place I visited was Albert Hall Museum. After visiting Albert Hall Museum, I headed my way towards Hawa Mahal. 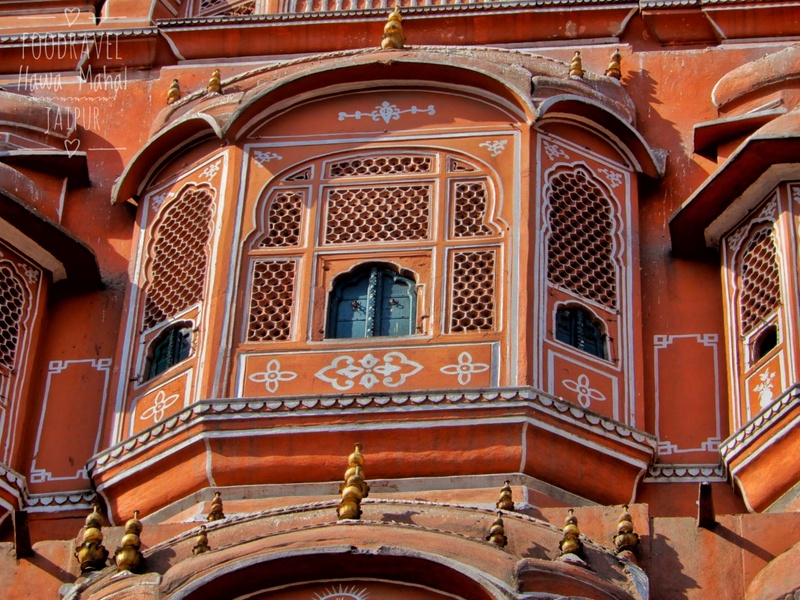 Since childhood, Hawa Mahal was the first place which was written in books. And we were taught that Jaipur is famous for Hawa Mahal and is also known as Pink City. However, there are several other places for which it attracts worldwide attention of tourists. So, after spending much in Albert Hall Museum, I took an e – riksha and made my way to Hawa Mahal. I prefer solo travelling. I wanted to cover three places in one day City Palace being the third one. So visiting Hawa Mahal was just an affair of half an hour or something. I was told that there’s nothing to see from inside. My main motive was to visit City Palace which would consume great extent of time. Hawa Mahal falls on the way, thus I wanted to stop by and click few photos. And my motive was served. The e – riksha moved through thick traffic and the five minute’s journey turned longer. Finally, leaving the chaos and hustle – bustle behind, I reached to place. I was stunned to see the beauty. The building itself was narrating its history. Such a majestic monument, in the middle of busy market. Mere thought to life in that era was giving me goosebumps. It’s beautiful, it’s wonderful and it’s incredible. I had only seen it in books and on TV, but I got to see it in real. Sawai Pratap Singh, who was the grandson of Kachhwaha Rajput Maharaja Sawai Jai Singh, got this place constructed as a continuation of Royal City Palace. 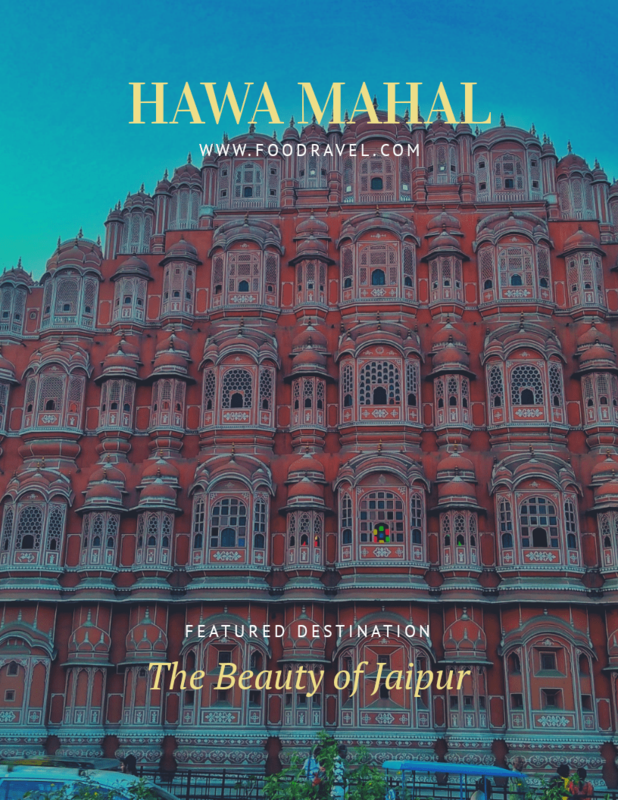 How to reach Hawa Mahal Jaipur? 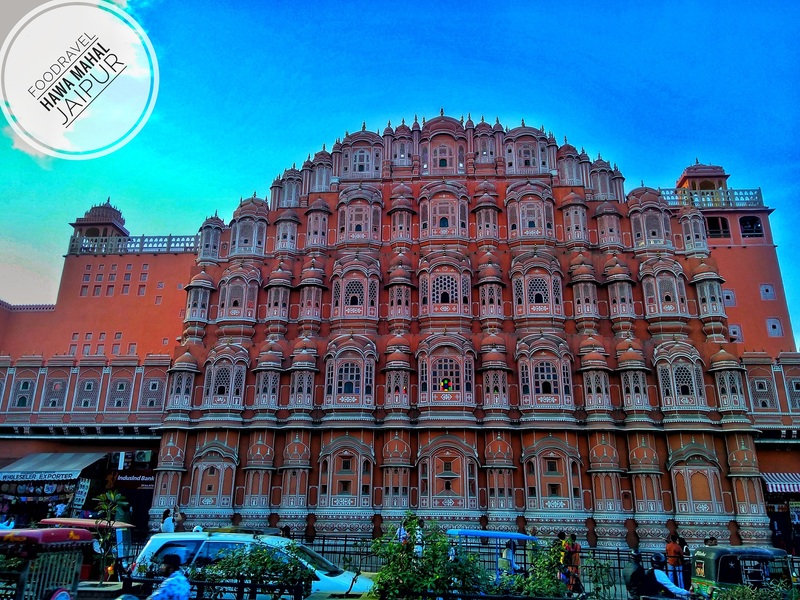 Hawa Mahal is easily accessible from all the major locations of the city. The city is well connected with all the major cities of country by air, rail and road. I had an auto from Albert Hall Museum. I reached here from Ajmeri Gate bus stop and walked to this place. Though not long, Hawa Mahal must be two kilometres from Albert Hall and while coming in the evening, I just took a walk from Hawa Mahal to Ajmeri Gate bus stop. Hawa Mahal is located near the Big Square, known as Badi Chaupad in the Johari Bazaar. I traveled via road. 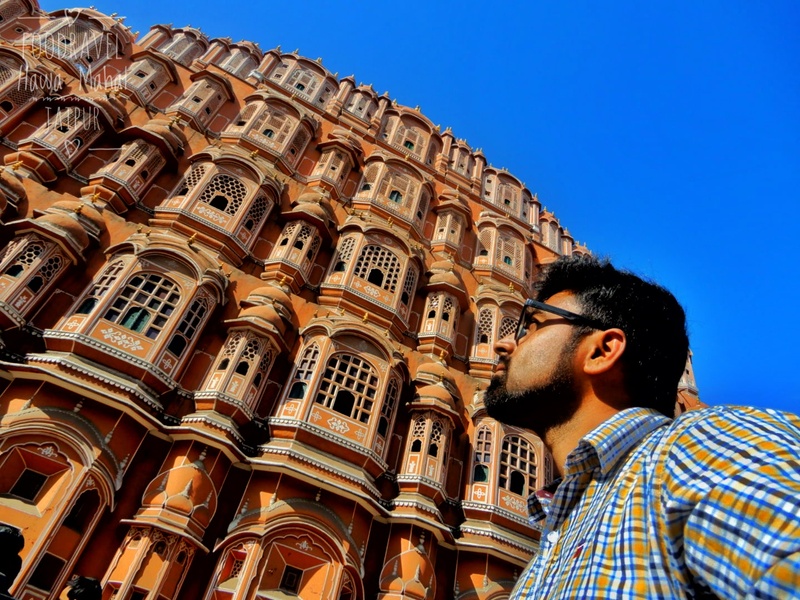 Why is Hawa Mahal famous? Hawa Mahal is among the most visited tourist destinations of Jaipur. Its marvellous architectural design attracts every one. The building is entirely made of red and pink sandstones. It is a five storey monument constructed in the shape of pyramid and rises up to 15 m (50feet). If we look at the top three floors, we will find that these have single room width whereas the second and first floor have patios. If you look it from the street, it will look like honeycomb. There are several windows. 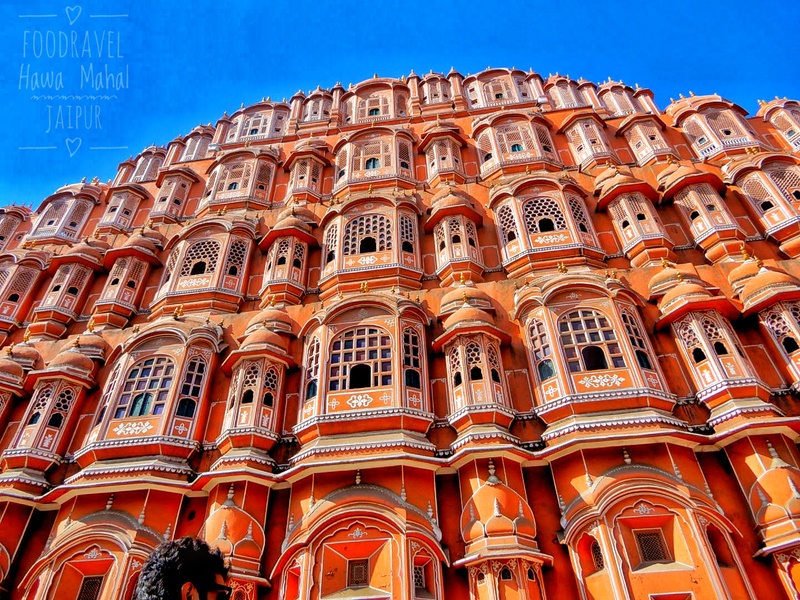 Hawa Mahal is famous for the 953 windows, also known as Jharokhas. These were meant for uninterrupted air circulation. There are no stairs to reach to the top floors; however there are slops which connect the floors. Sitting at the top floor, one can enjoy panoramic view of the city. It is said that the royal harem would sit and look at the street life through the windows without being noticed. The geometrical structures are decorated with several ornaments which look pretty stunning with reflection of light. The colored glass work will make you go wow when the sun light hits them. I didn’t go inside it and only clicked few photographs from outside as I had booked an e – riksha and I had to head to City Palace. Visiting Hawa Mahal during morning is really a wonderful experience. There is no entry gate from the front side towards the main road but the entry is from a side road which is towards the read end of the building. The building opens at 9:30AM in the morning and closes at 4:30PM. Indian tourists are charged Rs 20 as entry fee where foreigners have to pay Rs. 50. If you have a camera, you need to pay Rs 10 extra (Rs 50 for foreigners). You will find a cameraman who has a very old camera; make sure that you get clicked from here. There are several other places to visit around. One can visit Jantar Mantar, City Palace, Nahargarh Fort, Jaigarh Fort, Amer Fort, Jain Temples, BM Planetarium, and Sisodia Rani Garden etc. Hawa Mahal is situated in the busy Johari Bazaar. You can do shopping here. There are several shops where you can buy handicrafts, bags, jewellery items, bags, memorabilia, footwear etc. If you feel tired and hungry, there are several good restaurants such as Venus Continental Restaurant, Midtown Multi – Cuisine Restaurant, Art Café, Agrawal Pavitra Bhojnalaya, Venus Continental Restaurant etc.